Cowes Harbour is home to Red Funnel's regular vehicle ferry service operating between East Cowes and Southampton, as well as their high-speed passenger ferries which operate from the terminal alongside Cowes Town Quay. Cowes Harbour is also the major port of entry for commercial shipping trading to the Isle of Wight. Approximately 600,000 tonnes of cargo are handled annually, including such commodities as fuel, oil/petroleum, stone, shingle aggregates, timber, grain, and general cargo. 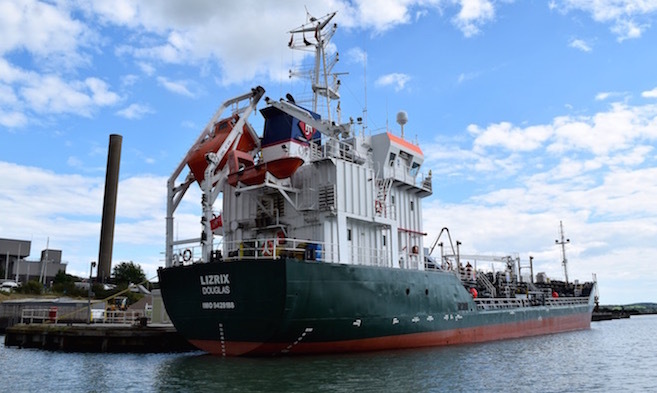 Ships of up to 100 metres (330ft) in length and with a draft of up to 5.7 metres (18.7ft) use the port and mainly berth at Kingston or Medina Wharves. Vessels generally enter/depart from about 2.5 hours either side of High Water, although vessels in ballast may enter/depart at any time during periods of neap tides. Movements may be at any time during the day or night, depending on the actual time of High Water. 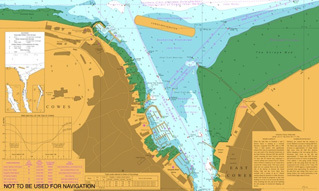 As a result, ships may be required to enter or leave Cowes during periods when yacht racing is in progress, although such movements will try to be arranged to avoid clashes with yacht race starts times whenever practicable. Newport Harbour – Ships of up to 75 metres LOA transit the Folly Reach in order to proceed to berths in Newport Harbour.